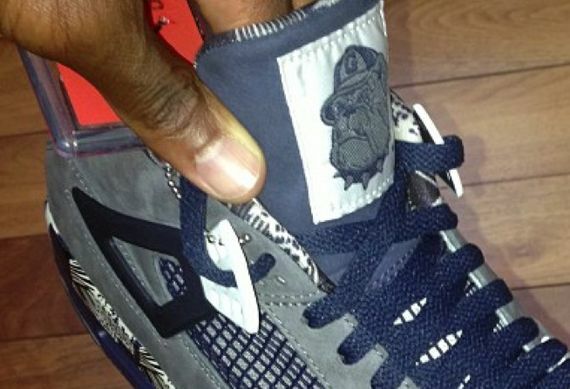 Although Chris Paul went to Wake Forest during his college years, the Jordan Brand signed athlete was able to get his hands on a Georgetown Air Jordan IV sporting the Hoyas mascot on the tongue, and colors that represent the school featured on the uppers. 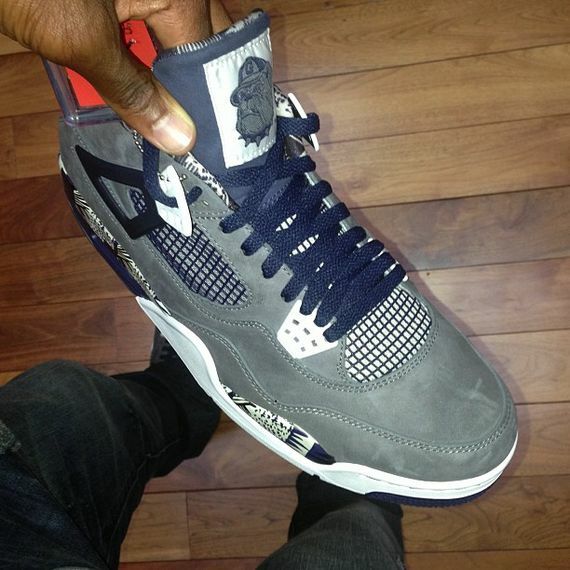 Grey suede and Dark Blue are presented on this Air Jordan 4 with graphics on the liner and midsole. Could we be expecting another college PE in the next few weeks? Check out this colorway after the jump.